Social networking has helped bring communication to a completely new level and University of Ulster’s Alumni Facebook site has been voted one of the best. In a public vote, the Alumni Facebook topped the category ‘Best use of social media by a school/college/university’ at the inaugural Northern Ireland Social Media Awards (NISMAs ) and needless to say, everyone at the Alumni office was delighted. Alumni Relations Assistant Brid McLaughlin says the global reach of Facebook makes it a very cost effective and efficient way for them to keep in touch with graduates. “Facebook is just one of the tools we use to communicate with graduates but increasingly we’re finding that if we want to let know people about forthcoming events like reunions, Facebook is the way to do it. Once we post it on Facebook, word gets about very quickly. Brid adds that prospective students are finding the social networking aspect of the Alumni Facebook site very useful when weighing up options about what and where to study. 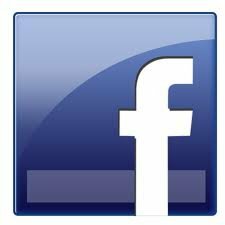 The Alumni Facebook site has 2935 fans on its Facebook page. Not surprisingly the biggest concentrations are in the UK, Ireland and the US but the global reach of the University of Ulster’s Diaspora goes much further with Facebook friends in more than twenty countries worldwide including Sweden, Singapore, Australia, Japan, Saudi Arabia India and Taiwan. The public were asked to nominate their favourite social networking sites for the Northern Ireland Social Media Awards. Nominations from 4259 people were received for 17 categories. The top 10 in each category went through to a public vote with 6138 people voting for the finalists.